Arthur C. Clarke is famous for suggesting that any sufficiently advanced technology would be indistinguishable from magic. There’s no better example of this than the ultra-speculative prospect of “utility fogs” — swarms of networked microscopic robots that could assume the shape and texture of virtually anything. We may be decades away from this sort of technological wizardry, but futurists are already thinking about how we could use it. We spoke to J. Storrs Hall, the independent researcher who came up with the concept of utility fogs back in 1993. He believes that utility fogs will irrevocably alter our physical landscape — and quite possibly our bodies as well. Indeed, Hall’s idea has inspired both scientists and science fiction writers. The potential for utility fogs has been seriously considered by futurists like Ray Kurzweil and Robert Freitas. And we’ve seen scifi visions of the technology with Warren Ellis’s foglet beings in Transmetropolitan, Neal Stephenson’s personal nanodefense systems in The Diamond Age, and many others. Here’s how utility fogs are going to work. Hall came up with idea for utility fogs when imagining what an advanced form of seat belt might look like. “I came up with this vision of form fitting foam — one that could take on the shape of anything inside it and on the fly,” he told io9, “which got me to wondering if we could ever possibly build something like that.” The answer, says Hall, came to him by considering the nascent field of molecular nanotechnology. By designing and creating objects at the molecular scale, Hall envisioned a fog that could quickly morph along with the movements of anything around it — including the passengers of cars. In essence, the utility fog would be a polymorphic material comprised of trillions of interlinked microscopic ‘foglets’, each equipped with a tiny computer. 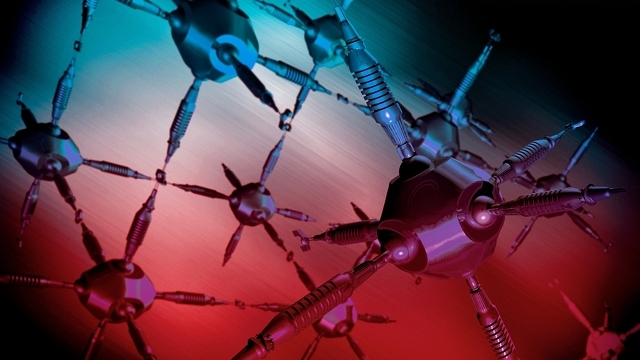 These nanobots would be capable of exerting force in all three dimensions, thus enabling the larger emergent object to take on various shapes and textures. 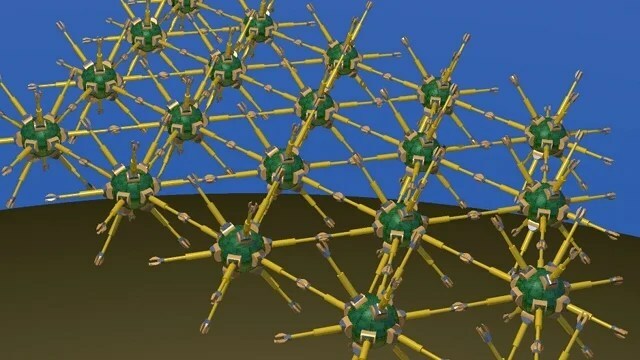 So, instead of building an object atom by atom, these tiny robots would link their contractible arms together to form objects with varying properties, such as a fluid or solid mass.